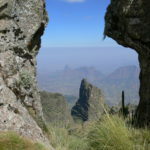 The organisation and guiding of excursions and hiking in the Simien Mountains are a field I specialise in – since the Simien Mountains are my home! 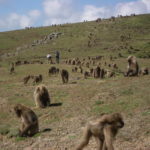 I’ve known this gorgeous piece of land and its human and animal inhabitants since my childhood. Let me share my passion with you! 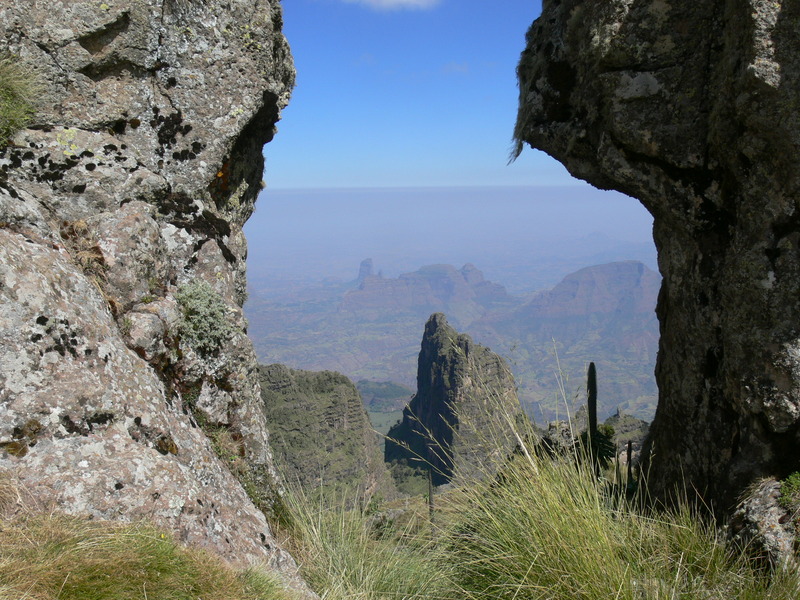 The Simien Mountains are the prime destination for hikers, and lovers of nature and stunning landscapes. Most guests today will do a several days’ hike to the countless scenic viewpoints in an altitude between 3000 and 4500 m, and sleep in tents. 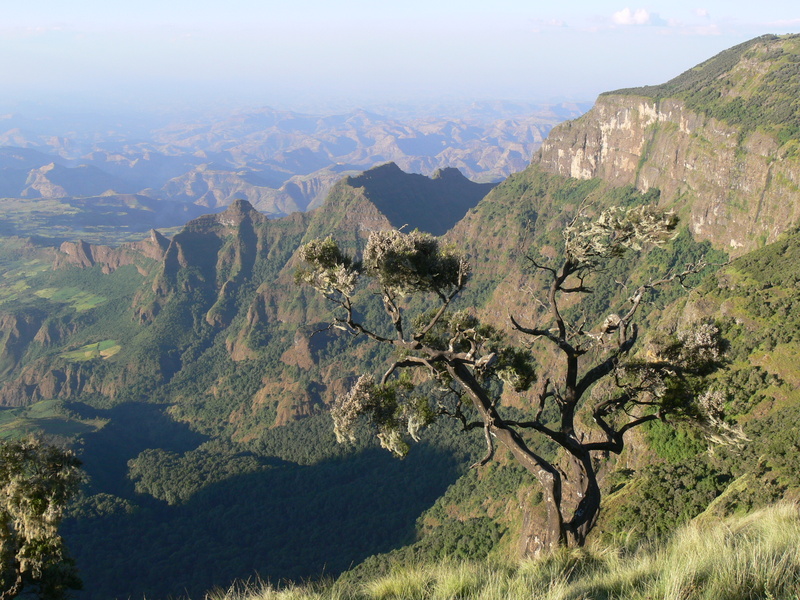 However, with the opening of a luxury eco lodge within the confines of the park in 2007, the Simien Mountains National Park now also becomes accessible to guests who need their creatures’ comforts. Let me customise an unforgettable trip to this out-of-this-world place for you. 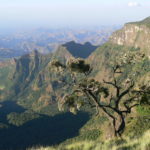 Drive from Gondar to Simien Mountains National Park, walk for 1 to 2 hrs to see gelada baboons, klipspringers, laemmergeiers, and other flora and fauna; visit Jinbar waterfall; return to Gondar. 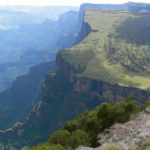 Day 1: Drive from Gondar to Sankaber camp site (3250 m), walk in Sankaber area (2-2.5 hrs). Day 2: Hike from Sankaber to Gich campsite (3600 m) (6 hrs), visit Jinbar waterfall and have lunch at Jinbar river. 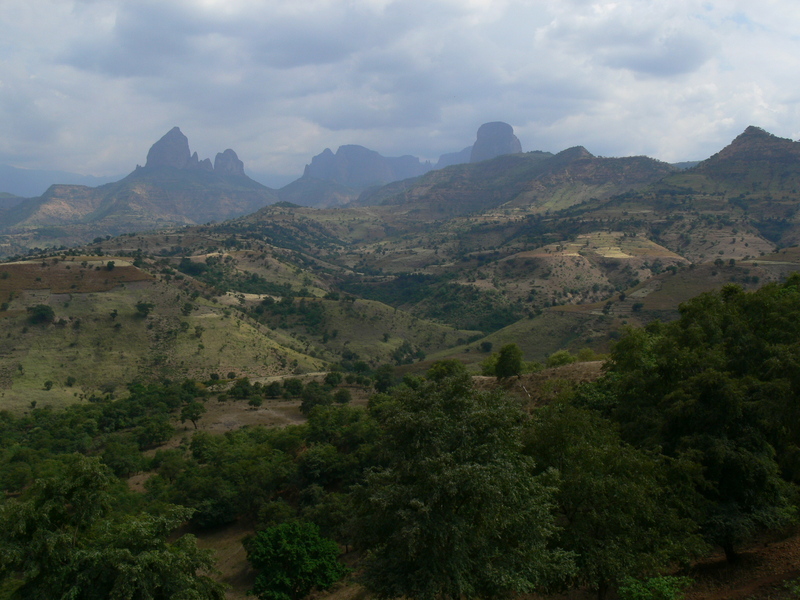 Day 4: Hike from Gich campsite to main road (2 hrs), drive back to Gondar. Days 1 and 2 as above, Day 3: Hike from Gich to Chenek camp site (3620 m) via Imet Gogo viewpoint, by following the escarpment offering stunning views (9 hrs). Day 5: Return to Gondar. 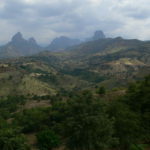 Day 1: Drive from Gondar to Sankaber. Day 2: Hike from Sankaber to Gich. Day 3: Hike from Gich to Chenek. Day 4: Hike from Chenek to Ambiko campsite (3270 m) via Bwhait Pass (4250 m). 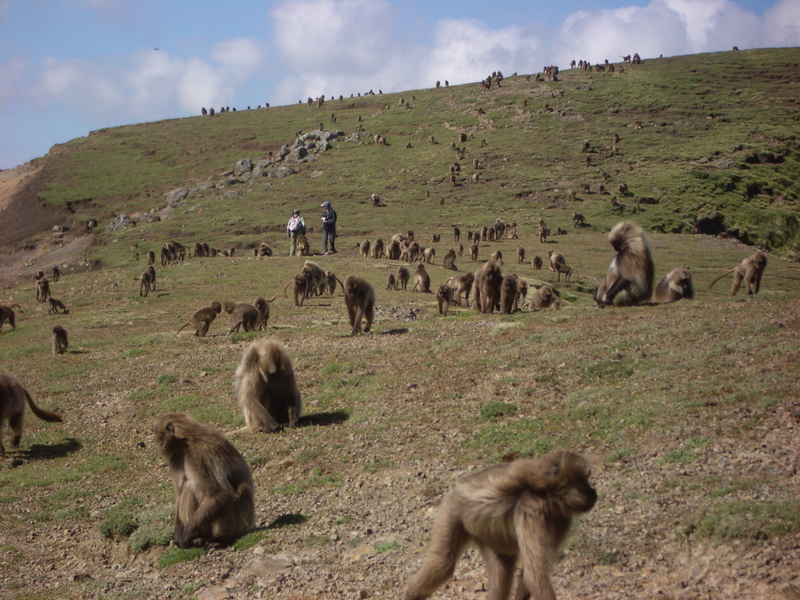 Day 5: Hike from Ambiko to Ras Dashen (4543 m), return to Ambiko camp site. Day 6: Hike from Ambiko to Arkuasye (3250 m). 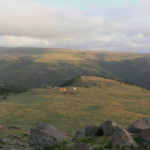 Day 7: Hike from Arkuasye to Mekarebia (3110 m). Day 8: Hike from Mekarebia to Muliet (2700 m). 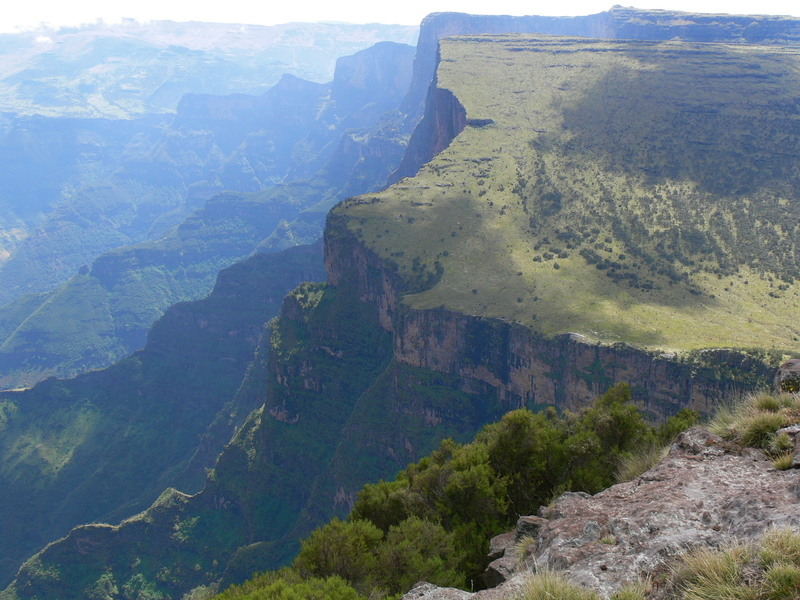 Day 9: Hike from Muliet to Adi Arkay (2400 m), lunch in Mulu Baye restaurant, drive back to Gondar. 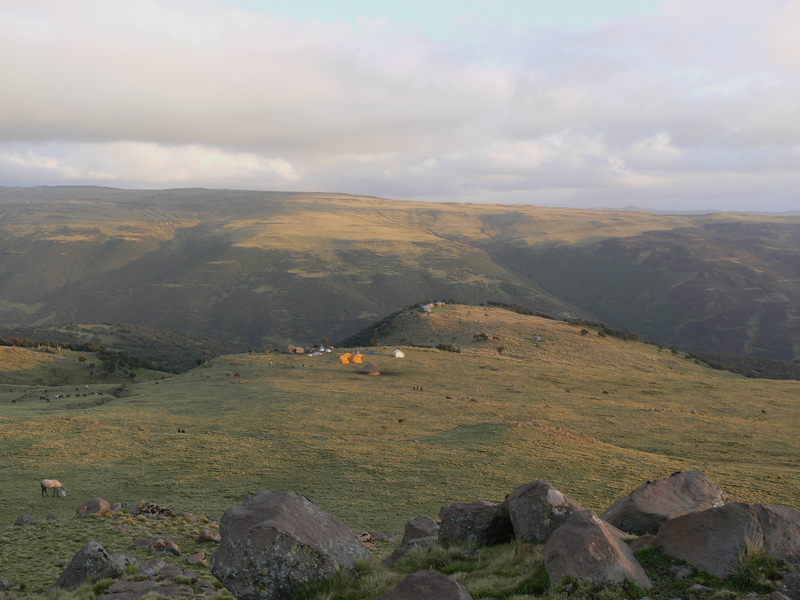 Accommodation during the hikes is in high-quality tents; sleeping bags and mattresses can be provided on request. Food prepared by the cooks is western style. The three dinner courses include a vegetable soup as a starter, a main course with pasta, vegetables, stew, roasted lamb or salads, and a desert. Trips from the lodge are done by foot or by car. This itinerary can easily be combined with a trip to Bahir Dar, Blue Nile Falls & Lake Tana and/or the Northern Historic Route.